This edited volume provides a window on the many forces that structure and shape why women and girls participate in terrorism and militancy, as well as on how states have come to view, treat, and strategize against them. Females who carry out terrorist acts have historically been seen as mounting a challenge to the social order by violating conventional notions of gender and power, and their participation in such acts has tended to be viewed as being either as a passive victim or a feminist warrior. This volume seeks to move beyond these portrayals, to examine some of the structuring conditions that play a part in a girl or woman’s decision to commit violence. 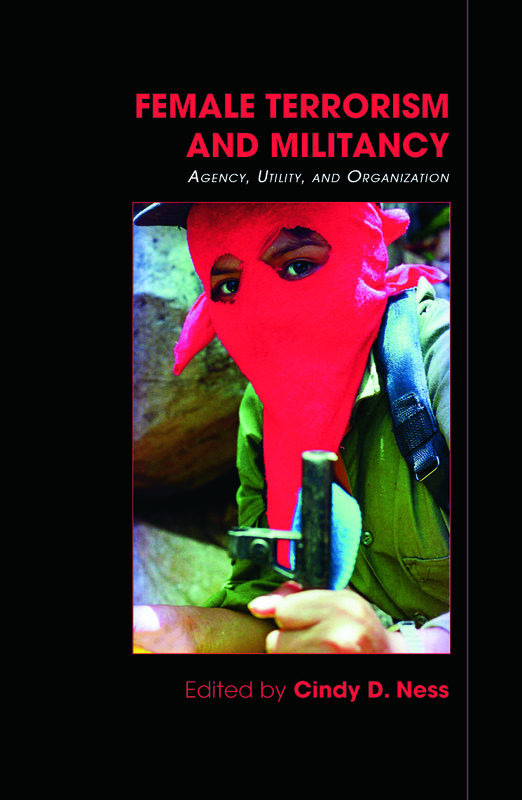 Amidst the contextual factors informing her involvement, the volume seeks also to explore the political agency of the female terrorist or militant. Several of the articles are based on research where authors had direct contact with female terrorists or militants who committed acts of political violence, or with witnesses to such acts. Cindy D. Ness is Director of Programs at the Center on Terrorism at John Jay College of Criminal Justice, and a practicing psychotherapist. She holds a doctorate from Harvard University in Human Development and Psychology.